1. 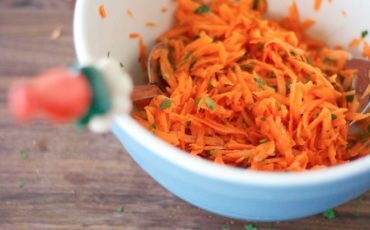 Shred a carrot in long strips with a help of a peeler. 2. Chop finely a garlic. 3. Mix Cedar Nut Oil with chopped garlic. 4. Sprinkle a carrot with a mixture of Cedar Nut Oil and garlic.